“Water has magical qualities, especially for little babies,” suggests Bryony Johnstone from Water Babies. “It helps them to grow and develop inside the womb, and if you take your baby swimming, this continues after birth. “Our bodies are about 70% water. We grow in it, and it continues to benefit us after birth and well into old age as we use it for therapy, relaxation, exercise and fun. But how does it help babies’ brains develop? Well, the key, is freedom of movement. Bryony added that movement is vital in helping create pathways in babies’ brains that will act as kind of blueprints for future learning. Learning and brain growth then combine as babies interact with the world around them. “A swimming pool is rich in sensory stimuli, and this also helps with learning,” she explains. “Carefully planned programmes like the ones we teach at Water Babies also make the most of each stage of a baby’s development. “And the results are amazing. A German study found that swimming babies had advanced motor development, social skills and intelligence. And the Early Years Swimming Project at Griffith University found that by the time they start school, children who swam in their early years were ahead of their non-swimming peers by six to 15 months in maths, language and following instructions. 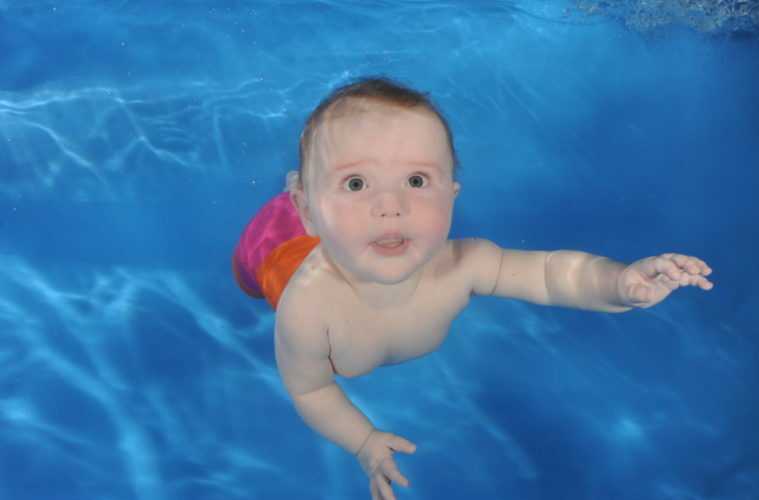 Water Babies classes are progressive, innovative and fun. They take place in warm, private pools across Bristol and beyond, as well as daily classes in Bath. It’s best to start under the age of 12 months, but if you have a toddler or pre-schooler, they would like to hear from you too. At what age can a child swim properly?